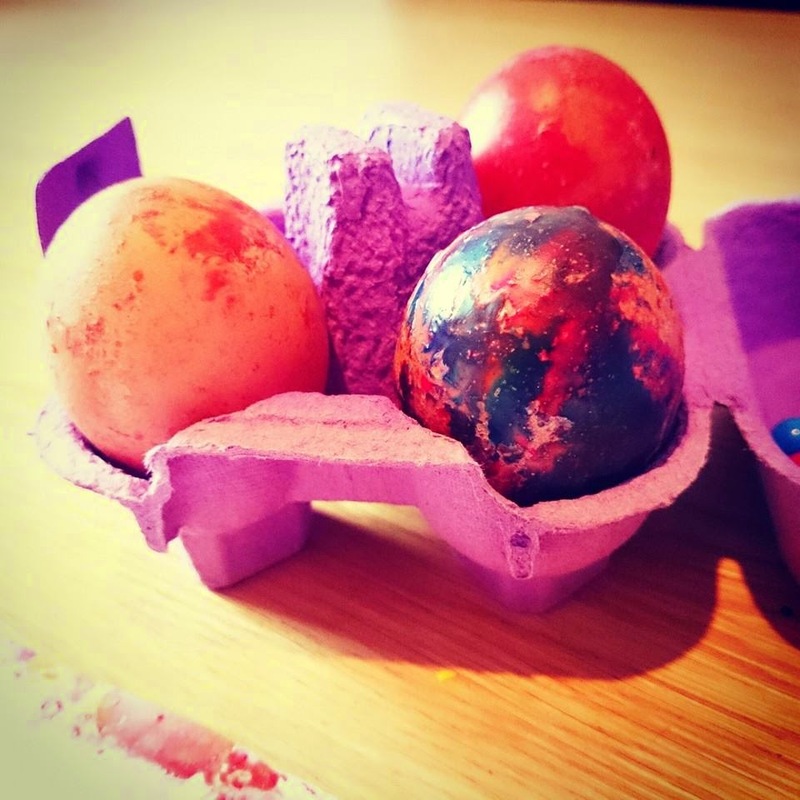 An Ordinary Life : Marbling with crayons! This is a really fun craft project to try with children. We marbled eggs and paper but you could marble many things using this technique. It doesn't involve chemicals with toxic fumes, but it does involve boiling water so care needs to be taken but I love the effect that it achieves. 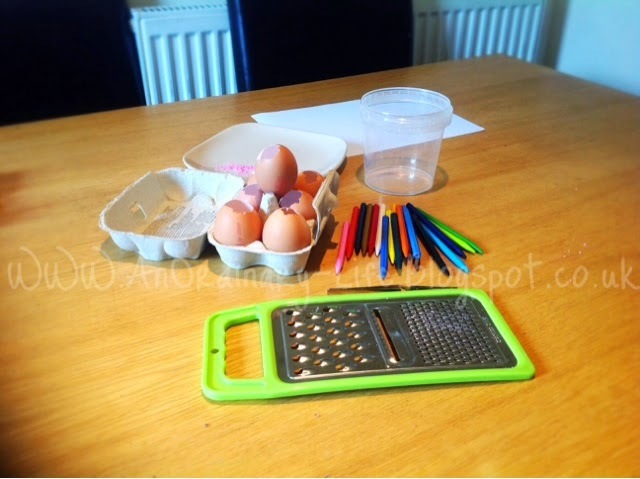 Grate a small amount of each of the colours you want to use, we prepared six colours - I would say about a dessert spoon size of each. Fill your pot with boiling hot water. We boiled the kettle. 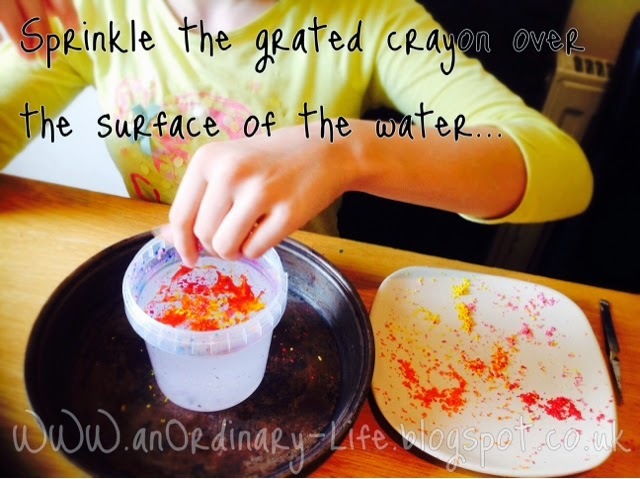 Sprinkle your grated crayons over the water. You should notice it melts immediately. SCIENCE: you could talk about how a solid has become a liquid and the reason why - heat. Also talk about why the grated bit of crayon are floating - you could put a whole crayon in a sink full of cold water and guess whether it float or not. 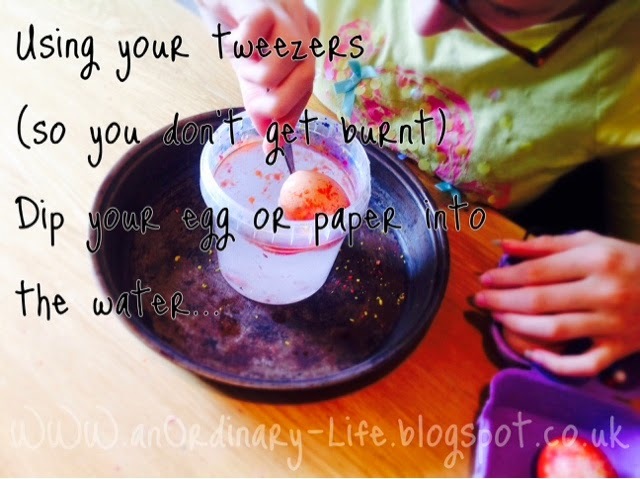 Get your egg or card or paper that you want to marble, pick it up with tweezers for safety reasons - then dip your object in the water and then slowly pull it back out. 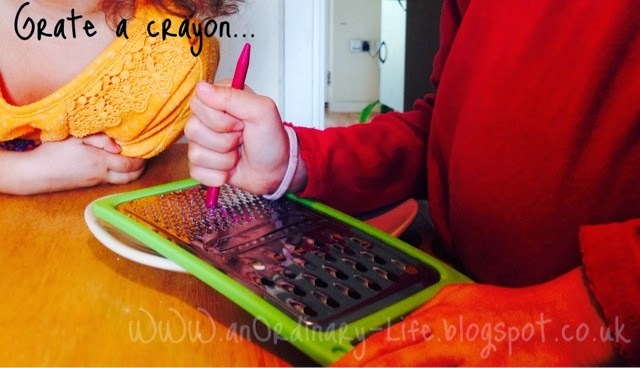 When you say not cheap crayons what do you mean? I am sure my daughter would love this project so want to have a go. How beautiful! 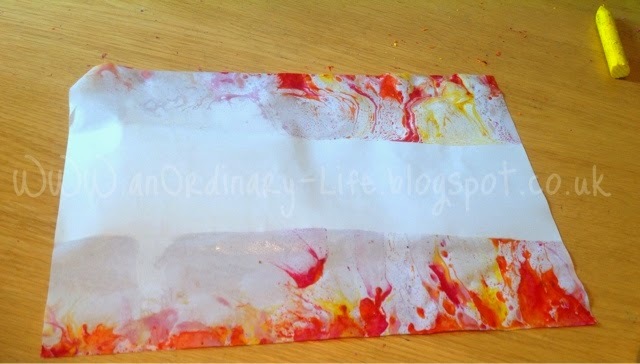 I love the marbling effect!